A man with a musical career that's just taking off, meets a young girl who may be as talented as him. Soon, he discovers, along with the musical world, that she isn't as talented as he is—she is several notches better than he is. Their marriage suffers, their child passes away, and she gives up her career. A legend is lost to the world forever. That sounds like the plot of the 1973 film Abhimaan, starring Jaya Bachchan and Amitabh Bachchan, except the film had a happy resolution. Real life, however, is rarely as happy. Egos aren't magically washed away by love, second chances are seldom given, and great talent is sometimes forgotten, for reasons that no one understands. We are talking about Annapurna Devi, Pandit Ravi Shankar's first wife. 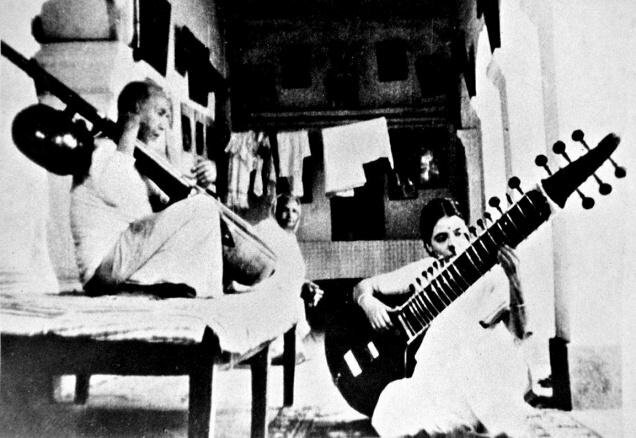 Pandit Ravi Shankar's name may have become synonymous with musical genius, but in the Indian classical music fraternity, the story is that Annapurna Devi's skill at music far surpassed any height he could have hoped to reach. The tragedy is that we will never know, because Annapurna Devi never recorded her music, and she stopped performing decades ago. In fact, the only person besides her students to have heard her perform in over 50 years is George Harrison, who was allowed to sit in on her daily riyaaz, that too after then Prime Minister Indira Gandhi requested Annapurna Devi. Her genius will be known to the world only through the accolades her students receive, who will be known as some of the greatest musicians India has produced—Nikhil Banerjee, Hariprasad Chaurasia, Nityanand Haldipur, Basant Kabra, Amit Bhattacharya, and Amit Roy. Annapurna Devi's music may have been lost to the world, but we've pretty much lost the woman as well. If she has ever spoken to the press, it has been through her students, and shortly after Ravi Shankar's death in December 2012, a journalist found the interview she had given to Man's World magazine for their September 2000 issue dispelling several rumours about her married life to the maestro. In his autobiography Raga Mala, Ravi Shankar portrayed the breakdown of their marriage as her fault, including the death of their son Shubhendra Shankar, or Shubho, as he is better known. The story of how Annapurna Devi's talent was discovered is exactly like the kind we read in books. Daughter of the great Ustad Allauddin Khan, and sister of Ustad Ali Akbar Khan, music was already in her blood. In their family house in Maihar, which is about 160 kms from Benares, a young Annapurna, then Roshanara Khan, corrected the older Ali Akbar who was practising on his sarod. “Bhaiya, Baba ne aisa nahin, aisa sikhaya,” said the young girl, and started singing the lesson, exactly how it was taught. Allauddin Khan had taught music to his elder daughter, but it had caused marital discord in her conservative Muslim family. Allauddin Khan had decided not to make the same mistake with his younger daughter, but he soon discovered that he didn't need to train her—she had taught herself. 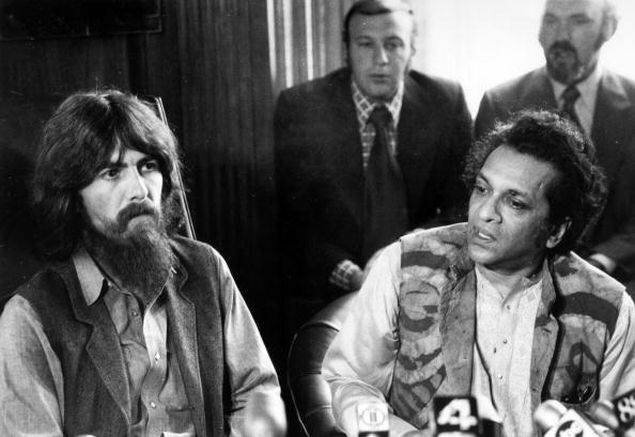 It was around this time that 18-year-old Robindra Shankar, who would later become Ravi Shankar, came to study at Maihar. Contrary to popular belief that Annapurna and Ravi Shankar's marriage was of love, it wasn't. Both Annapurna and Ravi Shankar agree on this. Soon, the couple started to play together, but it was Annapurna who received more praise—a fact that seemed difficult for Ravi Shankar to accept. Annapurna Devi decided soon that she would not consider music as a career, and gave up performing, saying, “Whenever I performed, people appreciated my playing and I sensed that Panditji was not too happy about their response. I was not that fond of performing anyway so I stopped it and continued my sadhana.” This did nothing to sort out their differences, and eventually, they divorced. Annapurna Devi even vowed in front of the images of her Baba and Shardama to never perform in public again, but it did nothing to save their marriage. We must add here, that Ravi Shankar's version of events was different. There are several other stories about the death of their son Shubho. 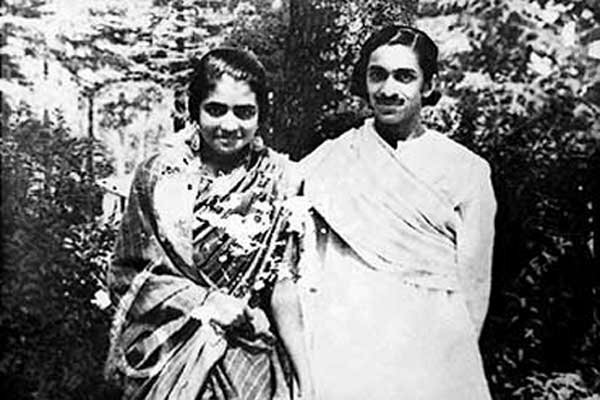 According to Ravi Shankar, Shubho “begged me to take him away with me to America, as he could no longer stand the hot temper and harshness of his mother — not only in connection with music but in general too.” Annapurna Devi claims that she begged Shubho to finish his taalim, and then go wherever he felt like, but Ravi Shankar convinced his son to stage the famous sleeping pills incident and pretend he had tried to kill himself because of his mother. Perhaps we will never know what really transpired. Maybe Ravi Shankar and his ego was the reason she stopped playing, and the indirect cause of their son's death. Maybe it was all just an unhappy and unlucky set of circumstances. What we do know for certain is that there is hardly anyone left to attest to Annapurna Devi's skill. 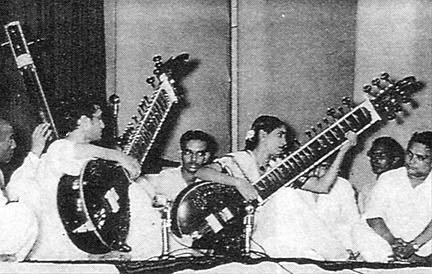 Annapurna Devi never recorded her music, so nothing exists save one recording of her playing a jugalbandi performance with Ravi Shankar. We may remember Ravi Shankar as the man who took Indian classical music to international heights, but we will never know just how great Annapurna Devi would have been. Her life will always be remembered in a series of could haves and should haves, and the real loser here will always be music.